Yorkie House of Hearts, Inc.
Yorkie House of Hearts is a planned sanctuary for senior yorkies that have been left in shelters. We will also provide a Lifetime Caregiving Program for those precious "fur-babies" whose owners have set up a Pet Trust Fund insuring that their pets will receive love and care for the remainder of their lives. There are estimated to be over 500,000 pets annually that are euthanized because their owners pass away or become incapacitated. Those that are not euthanized by the surviving family members are often left at animal shelters and many of them are of senior age. Since they are well past their prime they do not make it out of these facilities alive. They are simply put to sleep; alone and frightened, no doubt wondering what they did wrong to be left in such a place to begin with. After years of loyal service, we feel they simply deserve better than this. A lucky few may find themselves rescued by a Rescue Group but finding people to adopt the seniors is difficult. It seems so many families want the cute puppy or young energetic dog, never realizing what wonderful companions these seniors dogs can be. 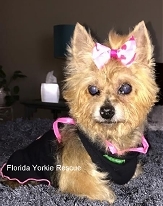 Florida Yorkie Rescue has taken in their share of senior yorkies over the years but when they cannot find new homes for them the dogs become permanent fosters. The more permanent fosters a Rescue has, the less availability they have to take in the younger more adoptable dogs. It is definitely a problem many Rescue Groups deal with. That is when the idea of "Yorkie House of Hearts" was planted... a small seed that grew firm in its foundation, originally only a dream, then a possibility. 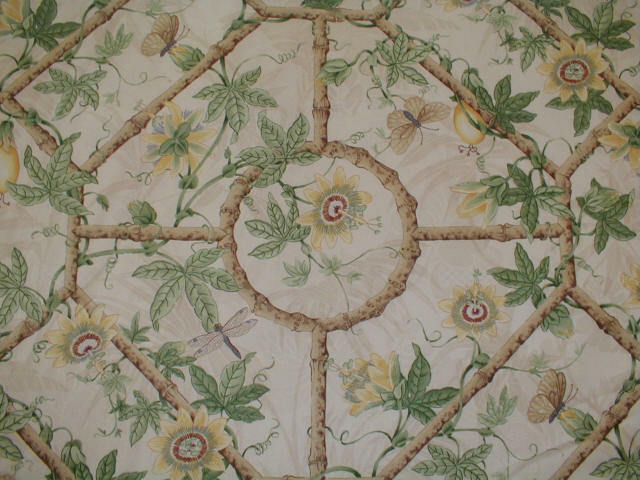 Can you help us make it into a reality? Natasha's elderly owner was admitted into a medical facility. Poor Natasha was kenneled with her older yorkie housemate for three months. You can only imagine how stressful that must have been for them both. Two days after they left the kennel, the older yorkie died and then the owner died. Poor Natasha lost everyone she ever loved. Florida Yorkie Rescue took her in as she turned 16 years of age. She is now deaf and blind and in the beginning stages of liver failure but she is comfortable and receiving quality medical care. This is how seniors should be treated; not thrown into an impound center to sleep on a concrete floor. Natasha was admitted into our permanent foster program and will live out her life with no worries in an environment filled with love and compassion. There are so many more yorkies out there just like Nastasha. Please help us help them. We are currently creating a Senior Yorkie Sanctuary. Florida Yorkie Rescue is the parent non-profit for Yorkie House of Hearts. Click onto the icon above to make a donation - Please help Florida Yorkie Rescue build Yorkie House, a senior sanctuary for all those, like Natasha who need us so desperately.